I don’t bake bread. 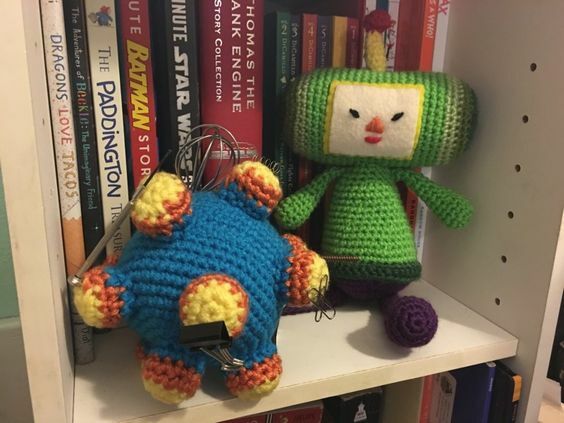 I don’t have a good reason, I just have never done it. My mom never baked bread, I don’t know how to knead, I guess it intimidated me. But ever since I bought my beloved Kitchenaid mixer, I’ve been looking for a reason to test out the dough hook. I saw a recipe for homemade bagels on r/baking last week, thought it sounded interesting so I pinned it and moved on. The very next day I was reading the Star Tribune as part of my morning routine, and they also had a bagel recipe. I decided it was a sign, I was meant to make bagels. 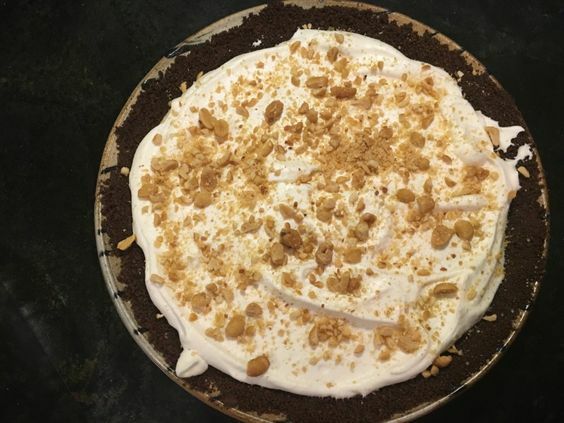 I decided to go with the recipe from the Strib, because it contained crazy ingredients no one has on hand and I had to find in a specialty store, so it must be better, right? But seriously, their reasoning for the crazy ingredients made sense to me, and made me believe I was going to end up with tastier bagels in the end. 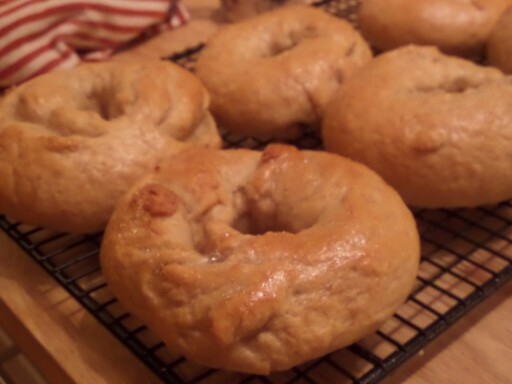 The crazy ingredient was barley malt syrup, which is supposed to give the bagels a more complex, malty, sweetness. Sounded delicious to me. The Strib article said it could be found in co-ops, I checked one local co-op and struck out, but my second stop, a natural foods store did have it. I bought the last jar, apparently there was a run on barley malt syrup. Everyone wants homemade bagels. Now like I said before, I’ve never made bread. 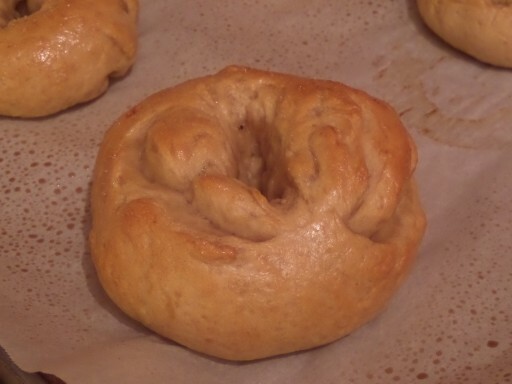 But I can follow a recipe so I had high hopes for my bagels. Then I mixed up my first batch of dough. I don’t know if I miss measured the flour or the water, but my dough was just crumbs, nothing would stick together. 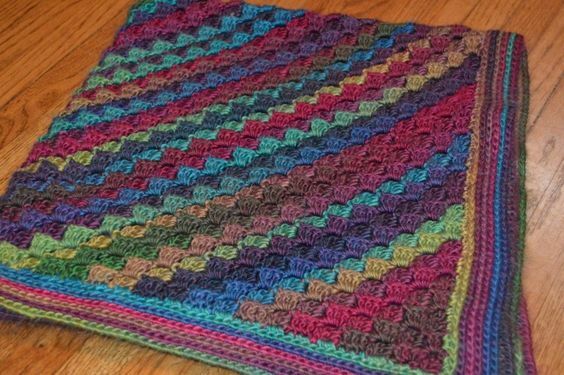 I pitched the whole thing and started over. Try two had dough I could at least knead. But my confidence level had fallen. So I kneaded the dough as best I could and let it rise. Confidence level rising, the dough rises! 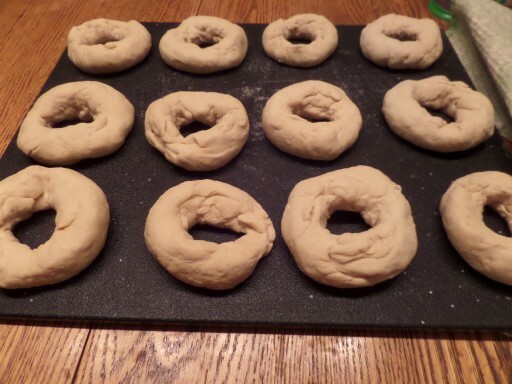 The next step was to shape the dough into rings. And my confidence starts falling again. I tried to follow the instructions. 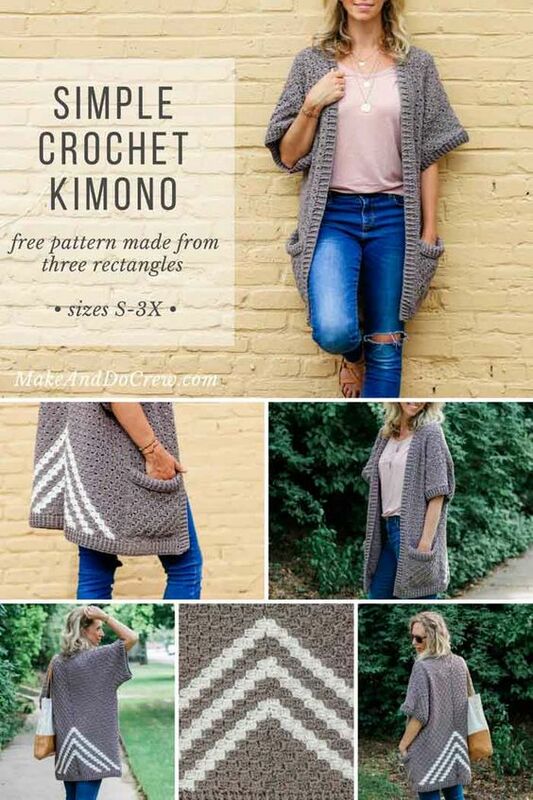 “Pulling the raw edges toward the center, pinching them closed, then firmly rolling the dough […] using the cup of your hand” sounds simple enough, but it just didn’t make sense to me in practice. But I did the best I could. They didn’t look the prettiest, but oh well, we trudge on anyway. They did look a little better after they rested for 20 minutes, which was how long it took me to get the water boiling so I could poach them. Poaching them was actually kinda fun, watching them drop down and float back up. They were easy enough to flip and remove with a slotted spoon. Once poached they get a brush of egg whites and go into the oven. And then they come out all golden brown and delicious. 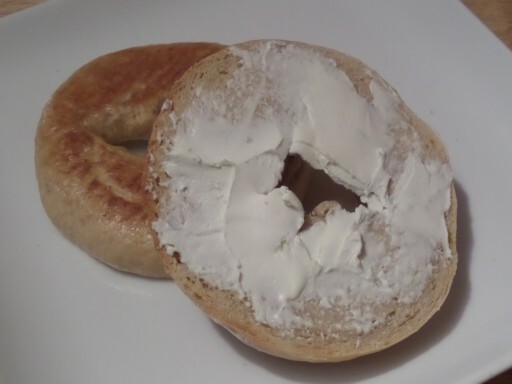 Okay, so it isn’t the prettiest bagel ever. I called it ugly but Ryan corrected me. They’re rustic. Regardless of their “rustic” looks, they are darn tasty. I had to have one last night while it was still warm, and it was pretty good. 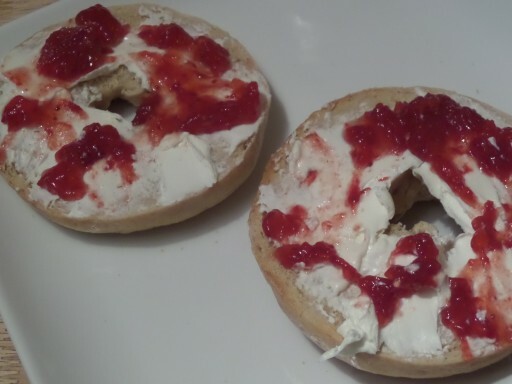 This morning I toasted one and smeared it with cream cheese and jelly. I was in bagel heaven. They are as good or better than any store bought bagel I’ve ever had. They are good and crusty on the outside and nice and chewy in the inside. The barley malt syrup does give them a subtle malt flavor, but it isn’t overpowering I will definitively be making these again. Probably just as soon as we eat the 12 I made last night. In a bowl, stir together 2 cups water, barley malt syrup, honey and salt. In a large bowl, stir together flour, yeast and, if desired, the pepper. If using a stand mixer, use the dough hook on low speed as you add the water mixture to the flour. Mix until well-blended, about 3 minutes. If mixing by hand, use a sturdy spoon, or your hands, and mix for about 3 minutes. 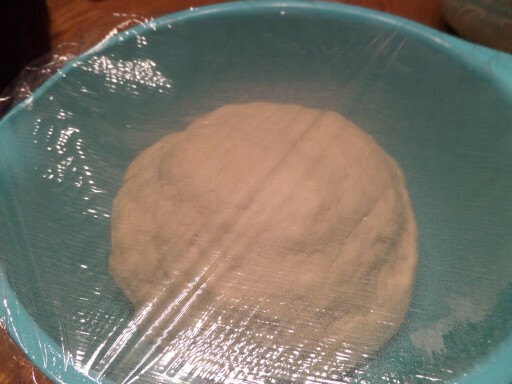 This is a fairly stiff dough. Turn the risen dough out into a lightly floured counter. Cut into 12 even pieces, then shape each piece into a ball by pulling the raw edges toward the center, pinching them closed, then firmly rolling the dough on a clean, unfloured surface using the cup of your hand. 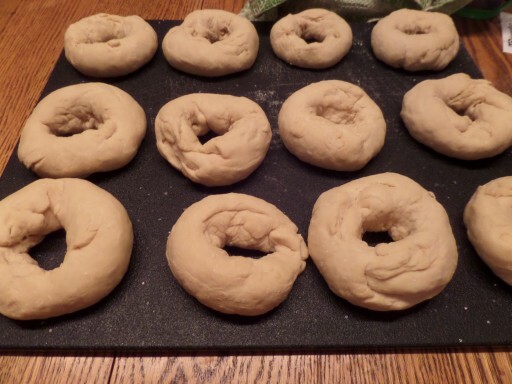 To shape the bagels, poke a hole through the center of each ball, then use your fingers to gently pull and rotate the dough until you have a hole about 2 inches across. Make the hole larger than you think you should, because the dough will spring back and swell while poaching and baking. 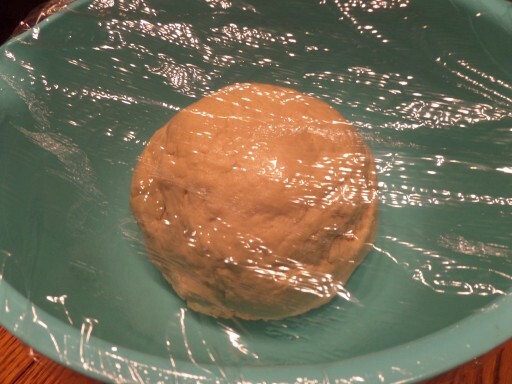 Cover the shaped bagels with a cloth and let rise until a bit puffy, about 15 minutes. While the bagels are resting, heat 4 quarts (16 cups) water in a large pot. 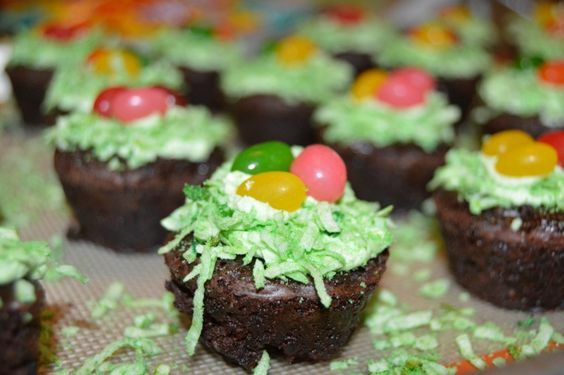 Preheat the oven to 450 degrees and place racks in the bottom and upper third. Cover 2 baking sheets with parchment paper and mist with cooking spray. Or, oil baking sheets and sprinkle with cornmeal. When the water boils, reduce to a simmer and stir in baking soda. 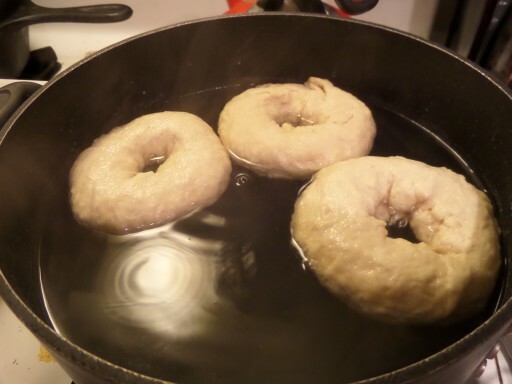 Gently lower 3 bagels, top side down, into the simmering water, leaving enough room for them to float around. (They will sink first, then rise.) Poach for a minute, then flip over and let poach for another minute. Remove bagels with a slotted spoon and place on a prepared baking sheet. Repeat with 3 more bagels. Brush beaten egg white over each bagel, taking care not to let it drip onto the paper. 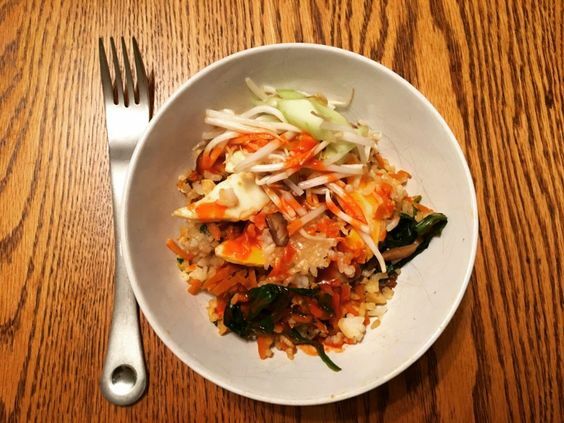 If desired, coat with toppings such as sesame or poppy seeds, grated cheese, sautéed garlic or onion, etc. Place pan on lower rack and bake for 10 minutes. 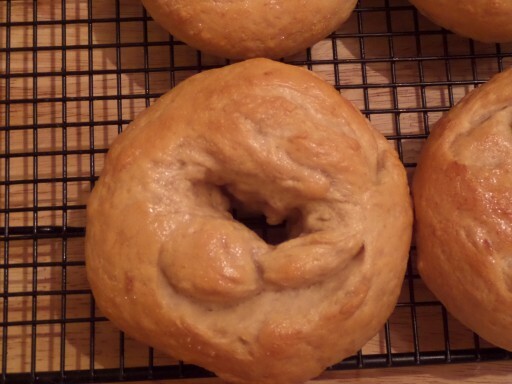 While the first pan is baking, repeat the poaching process with the remaining bagels. When the first pan has baked for 10 minutes, move it to the upper rack and place the second pan on the lower rack. 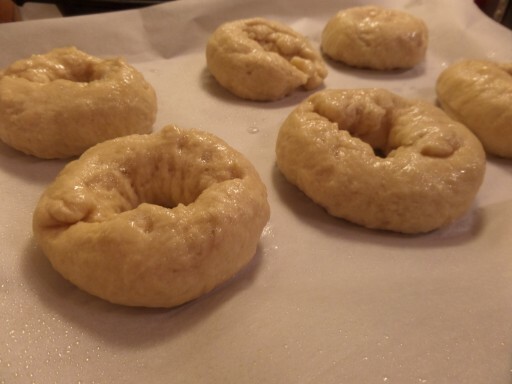 Continue baking for 8 to 10 minutes, or until the first bagels are golden brown. Move the second pan to the top rack for its remaining 8 to 10 minutes. 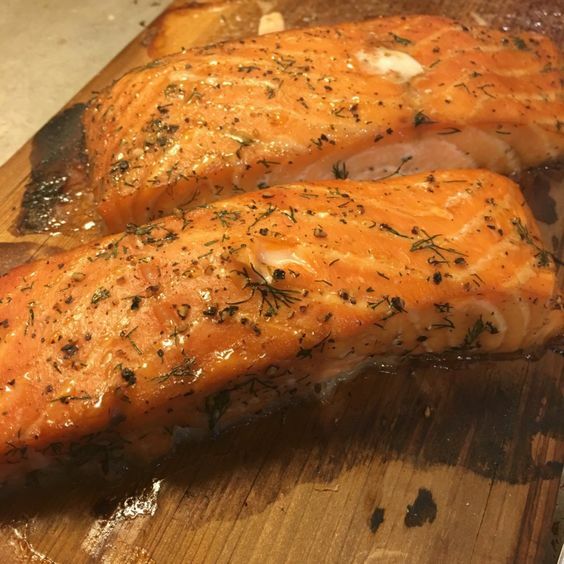 Cool for at least 30 minutes on a wire rack before slicing. 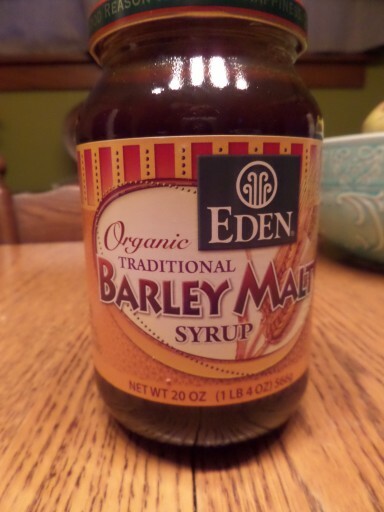 Note: Barley malt syrup is found in food co-ops and some grocery stores. Instant yeast also is called bread machine yeast. If you choose to add the optional pepper, make sure it’s finely ground. One Response to "Homemade Bagels"
You go girl! Way to conquer bagels!! !